So you've heard that San Francisco is home to a significant number of companies that are about to launch their IPOs? Judging by some of the reactions to Nellie Bowle's article in the New York Times, you'd think it was the IPOcaylpse – but don't panic. We've brought together an excellent panel to discuss what the impact of all these companies going public in quick succession may have on the Bay Area, with a particular focus on housing. Come and hear what the City is planning around the IPOs, and from housing activists and reporters about what measures can be taken to minimize the impact on our communities. Doors open at 5.30pm, with the discussion starting at 6pm. For anyone unable to make it in person, we will be live-streaming on Facebook Live. 518 Valencia is an accessible space, located one block from 16th St BART. What’s on your ballot? Housing edition! Are you overwhelmed by what’s on your ballot? Do you look at it, panic, sweat, and want to drink gin? As well as some local thoughts on Prop C in San Francisco, and some analysis of what Oakland and Berkeley have planned with regards to housing measures. We’re not here to tell you how to vote, we’re here to give you a clearer understanding of what a yes or a no vote means in relation to the proposed housing measures. Come soak up the sun and feed your soul with a housing trivia night devoted to summer in the city and the amazing housing wins Bay Area communities have achieved. The world can seem pretty dark right now, so let’s celebrate the sun and remember what people-driven movements can accomplish! All levels of knowledge from housing-curious to policy wonks welcome. Come at 5:30p for drinks and meeting good folks; trivia starts at 6:30p! Join YAH! for a panel discussion moderated by KALW’s Rose Aguilar as we dig into the question: can upzoning be equitable, and if so, what would that look like? As more and more people struggle with the affordable housing crisis, displacement, and gentrification, there is intense debate around the use of upzoning (changing laws to give allowance for higher, denser, or higher-value development) in California, particularly in low-income and communities of color. At this panel, we will discuss what upzoning is, and how it could help or hurt communities. Who is impacted? How can we ensure that changing development in a neighborhood, city, or our state addresses historical housing inequities instead of recreating them? Rose Aguilar, KALW's "Your Call"
Join us for our November housing happy hour! 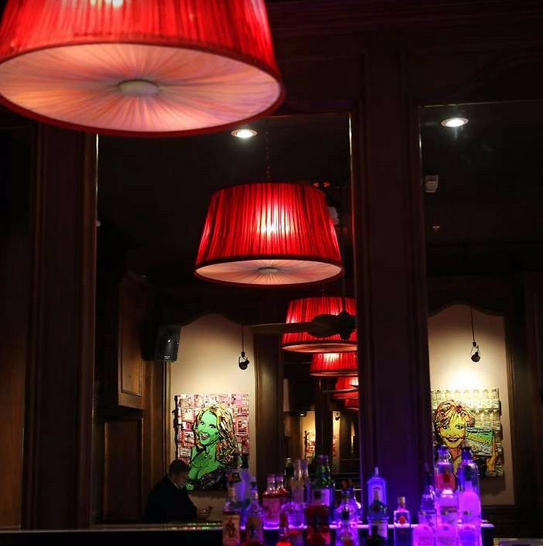 Grab a drink, meet other folks interested in housing equity, and start getting plugged in! Everyone welcome, from housing-curious to wonk. For this month's Housing Happy Hour, join us for Housing Trivia Round 2 as we cover the real-life scary stories of the ghouls, ghosts, and very, very spooky speculation of Bay Area housing! Trivia starts at 6:30pm. All levels of knowledge welcome, from housing-curious to policy wonks! Bonus points for early Halloween costumes; infinity bonus points for early housing-themed Halloween costumes. Heard something about the need for Prop 13 reform and want to learn more? Then join us for our September housing happy hour! Ian Fregosi from Evolve will be speaking with us about the problems with Prop 13 and the campaign to fix it. And even if you already know about Prop 13, come grab a drink, strengthen your talking points on the evils of inequitable taxes, and meet other folks interested in housing justice! Everyone welcome, from housing-curious to wonk. Join us for our August housing happy hour! Grab a drink, meet other folks interested in housing equity, and start getting plugged in! Everyone welcome, from housing-curious to wonk. How do we meet the housing needs of all San Francisco residents? Come ride with us to learn about different strategies for creating more affordable housing and fighting displacement, the role that community struggle and activism play, and the ways that communities are planning for housing that will meet their needs now and into the future. We'll be starting the tour at 24th and Mission Street (meet at the southwest corner by Bart) and ending in Mission Bay. Please come prepared with a packed lunch, snacks, water, bike, and helmet. This month's Housing Happy Hour will be done trivia-style! 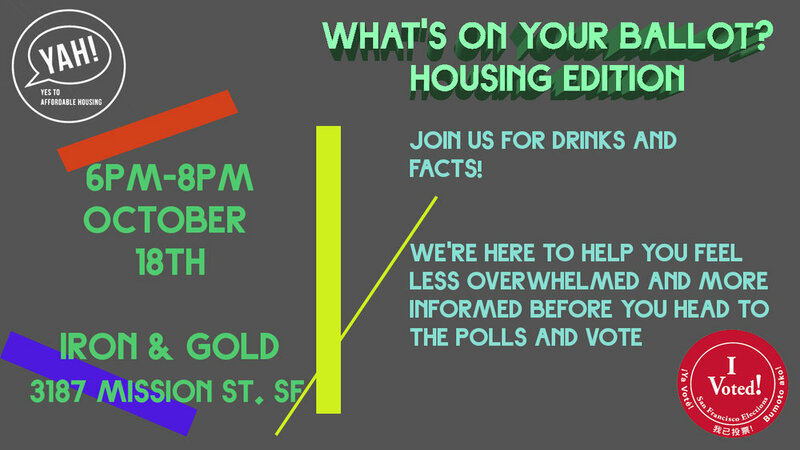 Test your knowledge of housing issues and the Bay Area as we get a drink and meet new friends. Drinks start at 5:30pm; trivia starts at 6:30pm. All levels of knowledge from housing-curious to policy wonks welcome! The Bay Area is growing, and a growing population requires more housing. However, the need for new housing cannot be sufficiently addressed by talking only about numbers of units built. If we want cities that enrich the lives of all people, and communities that thrive without fear of displacement, housing in our growing region must reflect the diverse needs of existing and future residents. That includes pairing housing with existing and anticipated job centers. So how do we figure that out? 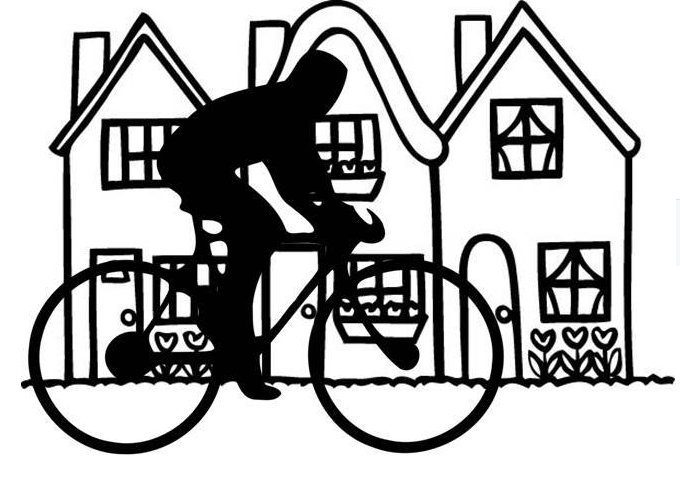 How do we plan for a fit between our growing communities and our housing construction? Come learn about Jobs-Housing Fit, and the factors we must consider when planning for a future where housing is available and affordable to all. BYOLunch. Snacks will be provided. The rent is too damn high and we need more affordable housing in the Bay Area. It’s time to come together and take action! But first, we all need a drink and new friends. Join YAH! & Fogtown blog for a monthly happy hour to talk about housing affordability, meet other folks interested in housing, & start getting plugged in. Join us for our May housing happy hour! Grab a drink, meet other folks interested in housing equity, and start getting plugged in! Everyone welcome, from housing-curious to wonk.